One of my favourite signs in the city. It's hard to explain how endearing this sign is if you've never followed the arrow around the corner, into the alleyway and behind the beauty salon, to see the short flight of steps leading to the door of the archery range. 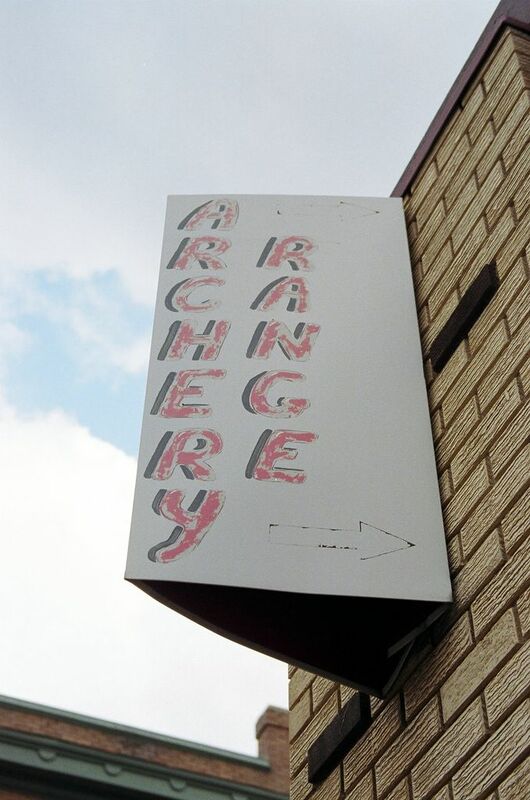 In the years that I've lived in this neighbourhood, two of them in a building directly next to the archery range, I've only once seen a man with bow and arrow emerge or exit from that door. That was less than a week ago. He had a quiver and a moustache.